The following help sheet explains how to import Customer Information into PromoServe. 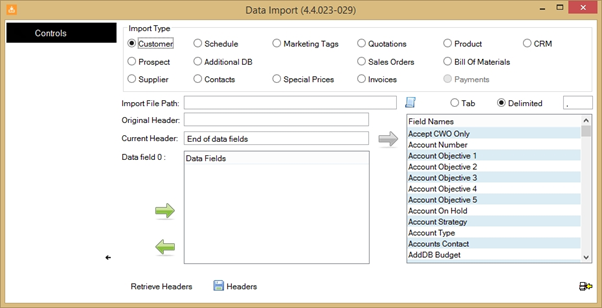 This can be used when importing new Customers into the system or updating existing customer information. Click HERE to download an example Customer Import Template. 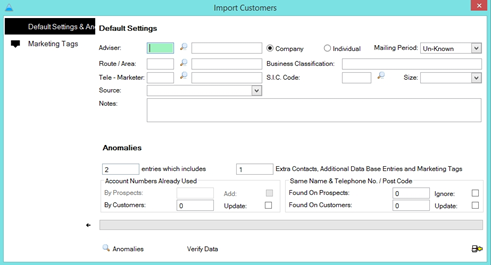 This template contains all the common data fields used when importing Customer information into PromoServe and can be used as an example when creating your own Customer Import spreadsheet. 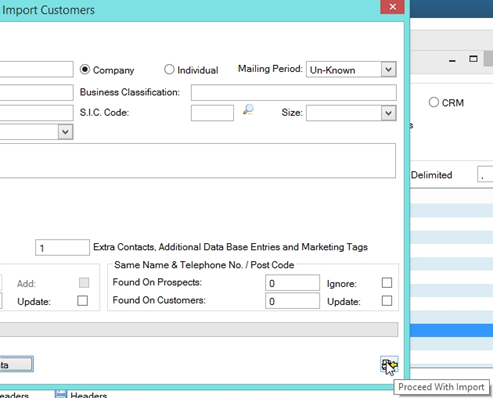 The template contains a brief description of each field as well as an example Customer including two Contacts. From the 'Import Type' options at the top of the screen, select 'Customer'. A list of field names will appear on the right hand side of the screen. These are the Customer related fields in PromoServe, which you match against the column headings in your Customer import spreadsheet. Click on the document select button indicated by the blue/white scroll in order to select your Customer Import CSV file. You will now be asked whether you want the new Customers to be defined as a Company or an Individual. 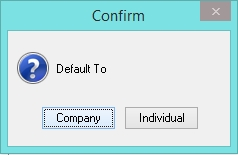 Select the appropriate option to proceed to the next step. You can scroll through several sample Customer Records by using the blue arrow at the bottom right of the screen. 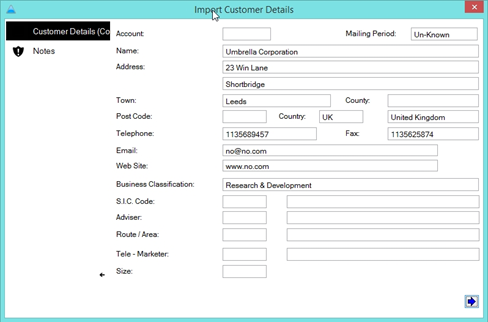 If you are updating EXISTING customers then be sure to click the relevant 'Update' buttons at the bottom of the Import Screen. 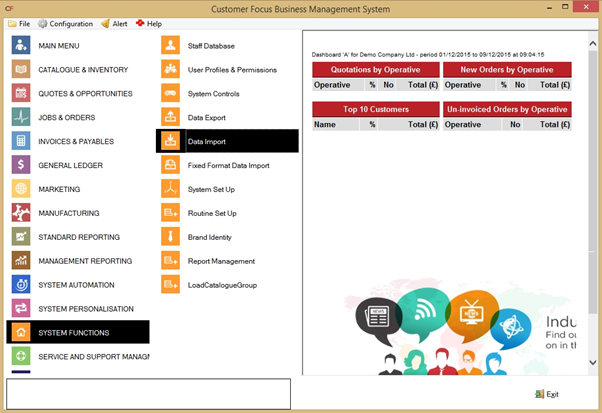 A Summary screen will be displayed once the data has been imported to inform you of how many new Customers were added and how many entries were updated. 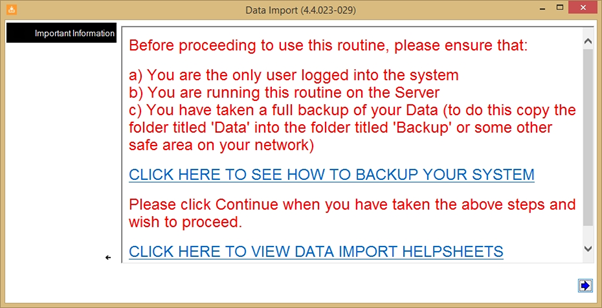 All Imported data is also timestamped & archived to a default location, this is displayed on screen for reference.